Sandal Castle VA Community Primary School in Wakefield has become a Centre of Excellence. Sandal Castle VA Community Primary School is a much larger than average three form Primary School. There are 608 pupils on roll. The percentage of pupil premium pupils is 37% and FSM numbers are 23% which is well above national averages. The diverse intake also includes 10% of children from more middle-class areas, as well as a proportion from traveller backgrounds. The school has a very high SEND cohort (28.4%) and this is considered to be because of the inclusive nature of the school and the reputation of the inclusion team. The school is ethnically diverse with 39% of children being BME and 31% speaking English as an additional language. This report is based on the two-day visit, talking with a range of people in school including pupils, governors, parents, school leaders, teachers and teaching assistants. I also spoke with the Headteacher of a partner school and an Education consultant who has worked closely with the school over a five-year period. A learning walk was undertaken. The documentation provided was studied. The school has chosen to apply for the award to support its own self-evaluation and to maintain the focus on every individual child. In addition, the school wishes to apply for Centre of Excellence status in recognition of its high-quality inclusion practice, the sharing of that practice, and to embed continuous improvement in this area. Sandal Castle VA Community Primary School is a remarkable and highly inclusive school. Every adult sounded a passionate and determined attitude to supporting the children of the school. The school community faces many challenges and yet the school is one that supports, welcomes and helps every child to progress. The inclusive ethos starts with the Headteacher who models care and love for the children and adults she works with. Teachers and support staff also spoke passionately about their determination to do everything to support each child. The ethos of inclusion and tolerance is reflected in the development of a culture that values and celebrates diversity. The school has developed careful monitoring of teaching and learning, yet this is a supportive and open process. It was clear that staff want to improve, are prepared to be open about their needs, and are looking for ways to improve the school. This culture of looking for continuous evaluation and improvement was seen across the school in all aspects observed. The school ethos is reflected in the behaviour of children in lessons throughout the institution. Children were observed to be purposefully engaged, yet with an appropriate level of informality that enhanced learning. The lesson environment is also supported by the range of high quality interventions to support inclusion including specialist support from HTLAs and a number of nurture groups to support aspects of social learning. Each child’s progress is carefully monitored and there are half termly progress checks with meetings between the senior leadership team and each class teacher where every child is discussed, and strategies put in place. A well-trained team of support staff provide a wide range of additional intervention opportunities. Relationships within the school were observed to be excellent. In addition, pupils, teachers, governors and teaching assistants all spoke very positively about the school, their role in it, and feeling valued. The staff at the school have high morale. They have passionate zeal for helping the young people in their care progress. Staff turnover is very low. Staff work hard but experience the reward of seeing progress of children at the school. The valuing and open culture, as well as training and promotion opportunities also make staff want to stay at the school. Parents spoke of the school being very approachable, with numerous opportunities for communication about children’s progress and an open door to senior leaders available. The school leadership and governors saw support for parents being an essential part of the role of the school. It was clear that there is much trust between the parents and the school and this trust has been built up over many years with dedication and clarity of purpose. This trust is further developed because of the excellent relationship with the church, the Vicar and his wife. Sally Martin and her husband the Vicar have worked in the community for 25 years and are also well trusted. Sally takes assemblies at the school each week. There is recognition throughout the school that children from this neighbourhood often need more than a standard education. 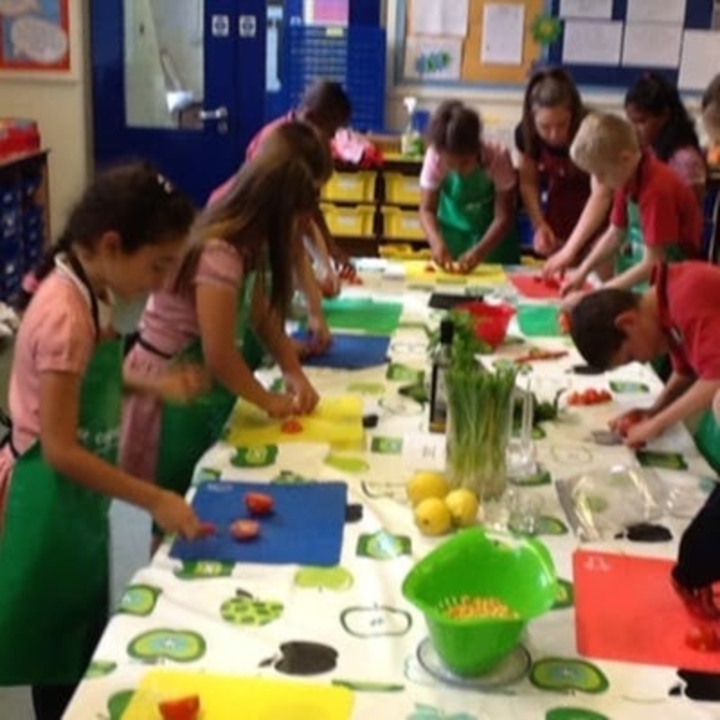 To this end there is a very wide range of extra-curricular activities that take place including a before school breakfast club as well as activities at lunchtime and after school. There are well over 30 after school clubs with over 80% of the children taking part in at least one. Credit must be given to the Headteacher, the leadership team and to all the staff in developing such a positive culture where all are valued throughout the whole school community. It has been a privilege to meet the pupils and staff of Sandal Castle VA Community Primary School and hear from them how they value what they do in their school and care for the other members of the school.